No matter if you’re a Las Vegas home-buyer or seller, it’s important to find and take advantage of quality, professional, honest and reliable representation in the greater Las Vegas Real Estate market. If you’re a first time or seasoned home-buyer, Investor or property speculator, low or high-end, informed quality representation is key in Las Vegas! When buying or selling Las Vegas Real Estate with ROCKIN THE HOUSE, you are assured of the Highest standard of professional honest representation always! I am available to represent you’re best interests seven days a week to help you with your real estate needs and requirements so if at anytime you need assistance, i will be there to guide and answer your questions and concerns. 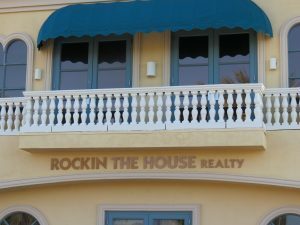 For buying or selling Greater Las Vegas Real Estate, choose ROCKIN THE HOUSE realty. Buyers: If you would like to Purchase a home or condo in Las Vegas or Henderson I will show you the best quality homes in the highest appreciating areas of your budget. You’re assured of the best deal at the same time you will also be entertained by the experience and difference of a unique professional Realtor. I create results fast so that you can purchase and move into your new Las Vegas home as soon as possible!! No broker fee’s of an kind to buyers at ROCKIN THE HOUSE realty. Sellers: If you’re looking to sell your home in Las Vegas or Henderson I know the current market of your home, condo or Real Estate. I will produce top dollars – and a solid escrow. I understand that your property is your investment and that you want the best deal and top dollars for it! Investors: Looking for property investments in the Las Vegas area? Not only will I find you the right profitable Investment, but as a full service Realtor, I have property management skills for you that will accommodate any of your requirements. Offering a high ratio of excepted offers in multiple offer situations. I have been producing the best priced per sqft homes, Condos, land for my clients for over 20 years. With many now becoming full time investors in the real estate market with my guidance and help. My clients return time and time again because they know in Las Vegas I’m the number one Realtor producing TOP DOLLAR EQUITY ( $ ) properties at the right price! You may customize your personal purchase criteria in my website below 100x greater than the above sites. My website MLS search is powered by IDX Broker. .